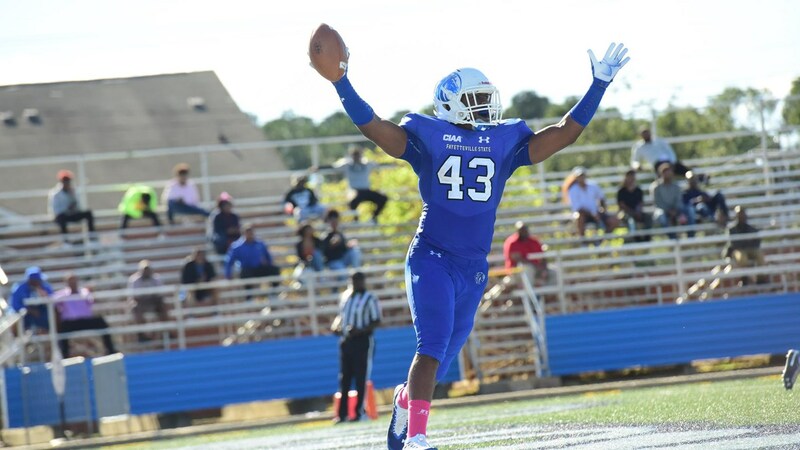 Fayetteville, N.C. – The defending CIAA Southern Division Champions Fayetteville State University and CIAA Football Coach of the Year Richard Hayes released the 2019 football schedule on Friday. The upcoming schedule currently features five home contests and four road games; with the opportunity of a fifth away game. FSU will offer a special savings on season tickets at $75 for general admission and $100 for reserved seats; which is a $35 savings on general tickets and $40 on the reserved section. For information on securing your 2019 tickets, contact the Fayetteville State Ticket Office at (910) 672-1724. Fayetteville State will kick off the season with back-to-back non-conference home games starting with Benedict College on Saturday, September 7th at 6:00 p.m. The Broncos will recognize newly inducted members to its reconstructed Athletics Hall of Fame. FSU will host second-round NCAA DII Playoffs participant Wingate University on Saturday, September 14th at 6:00 p.m. for Military Appreciation. Free admission will be provided to all active and retired branches of the military with valid identification and their dependents. The Broncos currently have an open date on the 21st of September. Elizabeth City State University will host Fayetteville State in the 22nd Annual Down East Viking Football Classic in Rocky Mount, N.C. at 4:00 p.m. This weekend will mark the start of conference games across the Central Intercollegiate Athletic Association. The Broncos will host a week-long list of activities for #NOHOE (Number One Homecoming on Earth) from Sunday, September 29 through Saturday, Oct. 5. The highlight of all activities will be the 2:00 p.m. football game against the Hawks of Chowan University. FSU will host another back-to-back weekend with Shaw University’s visit to L.N. Jeralds Stadium on Saturday, October 12th for the 1:00 p.m. kickoff for the annual Ball in Pink game. The Broncos will host activities related to breast cancer awareness. The football program will travel to Charlotte, N.C. on October 19 for a 1:00 p.m. game against Johnson C. Smith University before honoring its seniors in the last home game of the season on the 26th of October. In conjunction with Senior Day, Fayetteville State will show appreciation and recognize its 1,000 Bronco donors during halftime of the 1:00 p.m. Saint Augustine’s game. FSU will close out its CIAA Southern Division slate on the road with the Livingstone Blue Bears homecoming game in Salisbury. The Rams of Winston-Salem State will host the Broncos at 1:30 p.m. in Bowman Gray Stadium on Nov. 2. The CIAA Football Championship Game will be held in Salem, Virginia on Saturday, November 16. For more information on Fayetteville State football, visit fsubroncos.com and follow the Broncos on social media via Facebook and Twitter through @FSUBroncos and Instagram through @FSU_Broncos.